Midlands Cleaning Group - Cleaning Services based in Rednal, West Midlands. Midlands Cleaning Group are a cleaning company who cover a wide range of cleaning services. We specialise in carpets and upholstery cleaning, one off cleans, end of tenancy, commercial and insurance work. We have been running for 3 years and we are a family run business. We are able to offer our clients fantastic prices along with a 5 star service as everything is in-house. We always respect our customers and their homes which is why majority of our work comes from existing customers and recommendations. We aim to be one of the largest cleaning groups in the midlands within the next 3 years. Check out our before and after photos to see our work! We cover all of the midlands. We also take on all commercial work. 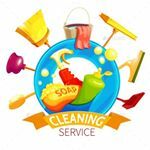 We offer a great quality service on our end of tenancy cleans and one off cleans and we also try to be the most competetive when it comes to price so give us a call or send us an email if you are interested in a quote. Be confident that we are fully qualified and insured company. We always achieve outstanding results and pride ourselves on the fact we use detergent free products that are very safe and non toxic, which will give you confidence that your children and pets, or any allergies you may have are all safe from the effects of harsh chemicals.